Cordoba is such a pretty city. 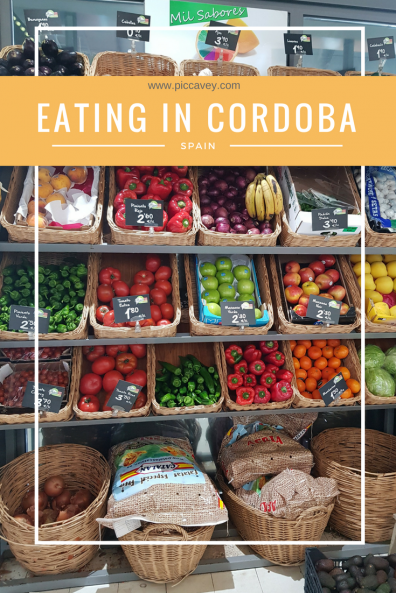 Having visited many times since 2006 I now take a closer look at Cordoba Restaurants and local Food. 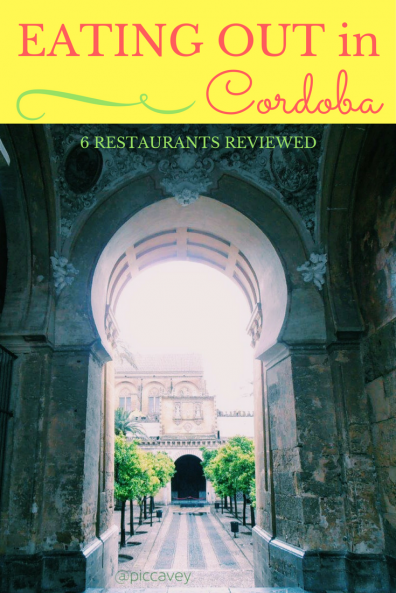 This time to discover Cordoba more in depth. I would go to different restaurants, bars and Cafés. This guide covers all budgets and tastes. I hope you find it useful. Typical Cordoba Food has a clearly visible traits of Andalusi cuisine. The history of the region is reflected in the food. Saffron, almonds, spices and recipes with aubergines are common ingredients. Flamenquín, this is a battered piece of pork or ham. It may have cheese and egg depending on the recipe. Salmorejo is a cold tomato soup thickened with breadcrumbs. Regañás. These square shaped crispy bread biscuits are served with the bread in many restaurants and tapas bars. Rabo de Toro Bull tail dishes. Croquettes, Stews and varied hearty dishes made from this traditional meat. Montilla Moriles Wines from the local region are excellent. Choose a sweet one to accompany dessert. Before travelling I did get some recommendations from a colleague of mine Cordoba born and bred. A few people I know who had visited recently also gave me pointers. From researching I soon had a long list of places I to try. Three days only gives you the possibility of visiting five or six places so I didn’t manage to do all the places on the list. Service at this Riverside Restaurant was faultless. Frequented by locals the decor inside is modern. They also have a large terrace outside to dine outdoors. I dined here in March 2018. For starters I choose the obligatory Aubergines with Honey which is so typical in Cordoba and a personal favourite. Then I tucked into these Potato Pots with brava sauce. They were as delicious as they look. My main course was a Cod filled ravioli in coconut sauce. Although this dish was a mixture of different flavours it was delicious. For dessert I tried the Tarta de la Abuela. The list only offered four dessert options. All were cake. Service here was excellent and the atmosphere inside was relaxed and welcoming. Cost around 28 euros per person for three courses. 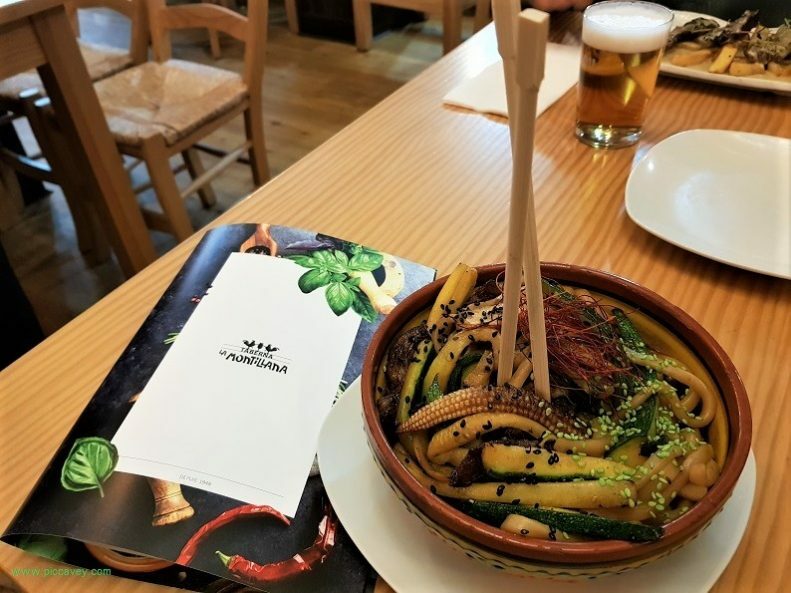 This modern restaurant is not far from the Plaza del Potro. It´s on Calle Cruz del Rastro. I wanted to try this place as it is ranked highly on Trip Advisor. The menu is not extensive. 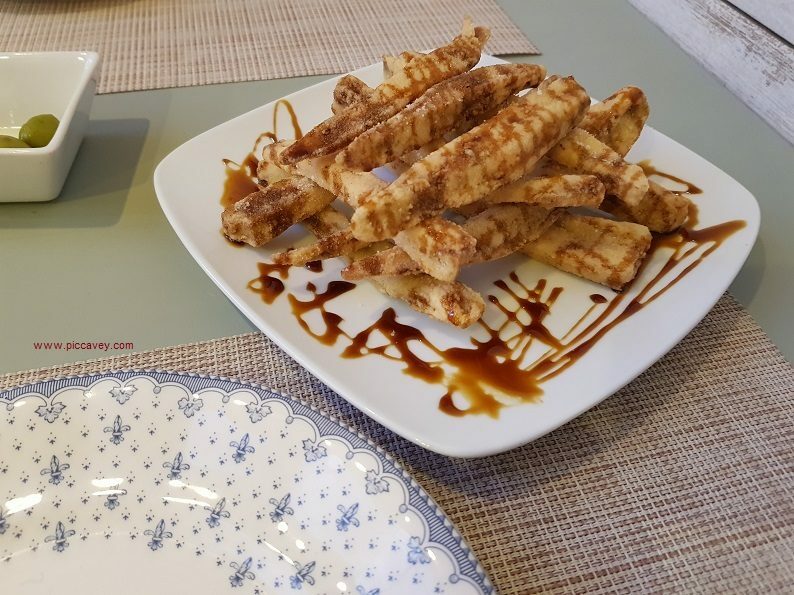 Although the dishes we tried were very creative and made from good quality ingredients. We had a bowl of thick creamy Salmorejo with finely cut Jamon Serrano on top. This dish was shared between two of us as it was quite large serving. The main course was crispy Fried Cod fish. The batter was perfectly done and golden. The excellent quality cod steaks made it a great main course. Dessert I chose was an odd combination. Grated Carrot in syrup with white chocolate mousse and served upon aniseed ice crystals (granizado de anis) Despite it being visually interesting I think the brownie on the other side of the table was a better option. Service was attentive and very friendly. The décor fresh and modern with watering cans dotted here and there (Regadera = watering can). We could have been in Notting Hill or somewhere else in Europe. The only downside is the menu selection a little limited. If you dont intend on going consecutively, that won´t matter too much. Book ahead of time if you can. It sometimes gets quite busy. This bar in the top part of town is a favourite with the locals. 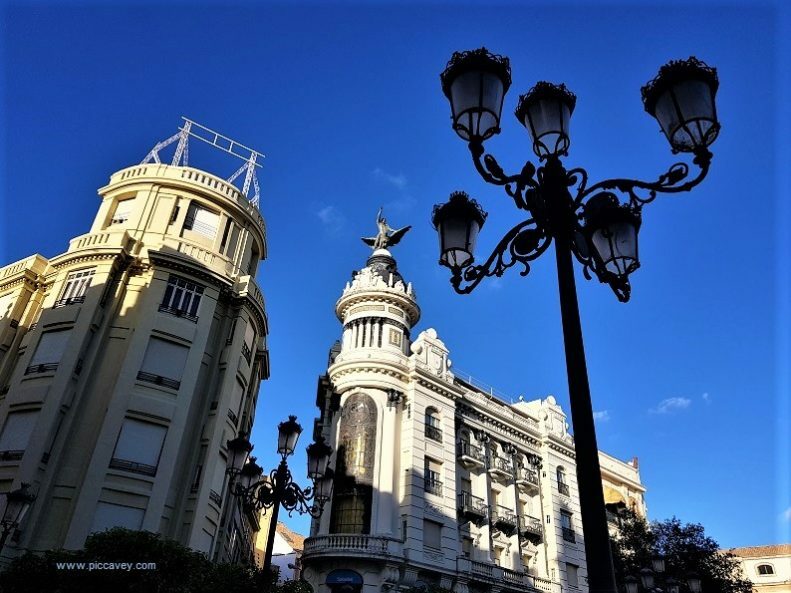 We headed to Calle San Alvaro after seeing the Cristo de los Faroles in the evening. We had to try a Cordoba Flamenquin so after getting a couple of ice cold beers we ordered. Some crispy regañas were place on our table by the friendly waiter. The flamenquin was delicious. We also ordered this wok bowl to share. I enjoyed the low key atmosphere here. The food was good. Nothing fancy , just traditional Cordoba bar food. Prices were acceptable. . The wine selection is huge. 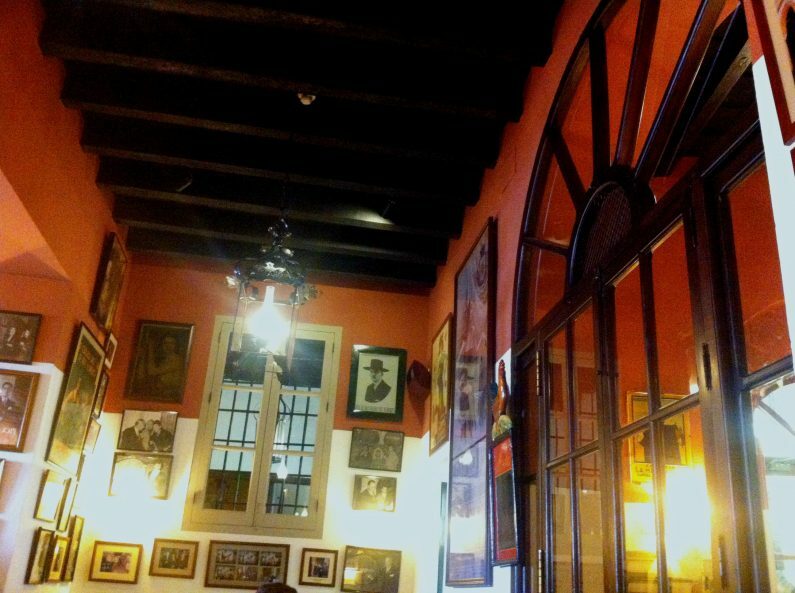 An eccletic café and restaurant on one of the main streets of Cordoba. They offer a vegetarian daily menu but also have meat options. Dessert shown above. I ate here in March 2018 and enjoyed the vegetarian menu. On the day I dined there it was three courses. A chilli bean stew followed by a Rucula thin crust pizza. Dessert was cheesecake. Good value for money. Although I ate in the bar area, I was told that the restaurant is also excellent. Bodega Campos is close to Plaza del Potro. This wine producer began back in 1908. They now run a successful catering company as well as the wine business. 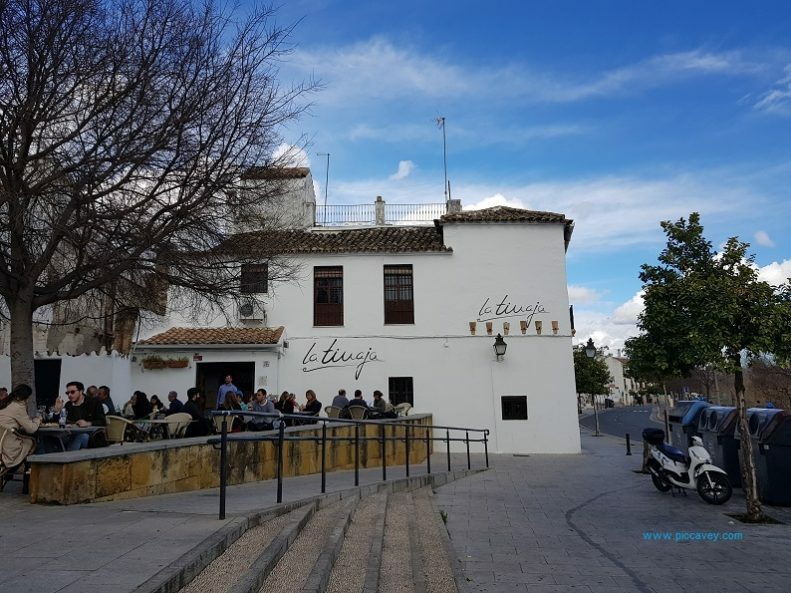 Their headquarters is a quaint Andalusian style building offering informal bar food, restaurant for weddings and celebrations as well as a shop to buy delicatessen products to take with you. The bodega is open for Guided tours in Spanish and English. We had lunch in the bar. Lined with photos of many Spanish celebrities and royalty. There are also vintage adverts from their company’s past. I choose gazpacho for starter and then we selected two other dishes to share. Fried aubergines and some tender beef with asparagus. The gazpacho and Salmorejo we really something. It was clear that the products they use to make their dishes are first class. 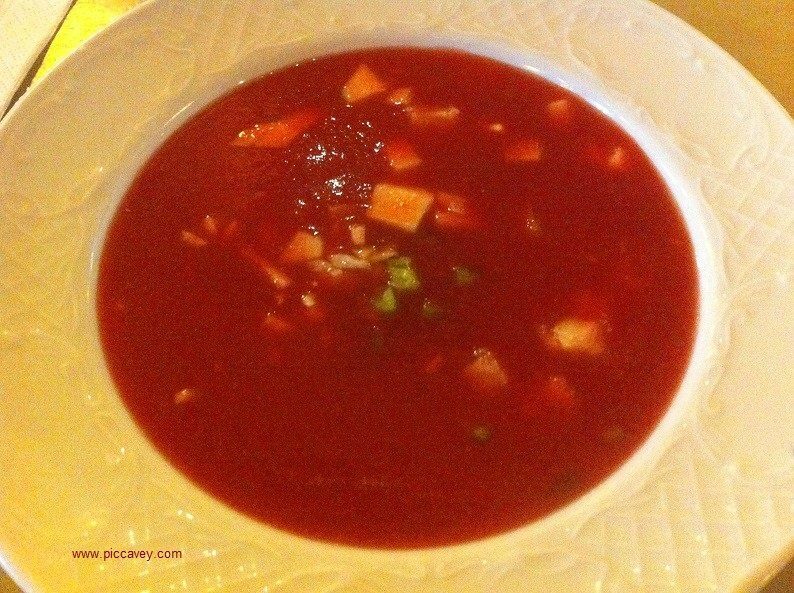 The deep ruby red colour of the gazpacho was like no other. Living in Andalusia I´ve tasted a lot of gazpacho but this one was something special. After finishing off the crispy aubergines we chose Mojito sorbet for dessert. A tangy fresh icy refresher. Perfect to cool us down before heading out again. The service was professional and polished. it´s one of the Cordoba restaurants I´d like to return to sometime. On weekends and busy times book ahead. This Teahouse in the Juderia is such a sweet little place. With its Andalusi style patio and endless tea list. 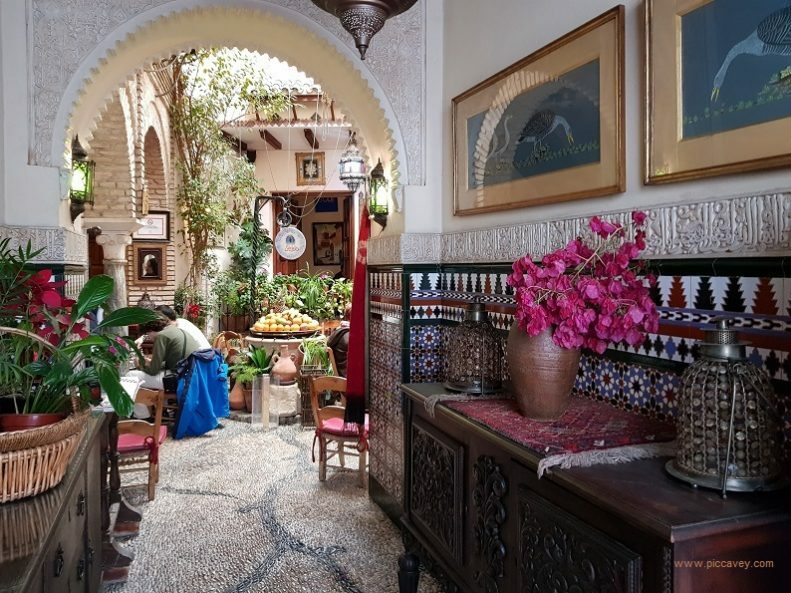 I always have to pop along here each time I am in Cordoba.On my latest visit I enjoyed a few sweet baklava pastries and a huge pot of three flower tea. With the fountain babbling away beside me and little birds fluttering in and out of the patio it is an oasis of calm in the centre of Cordoba. At the Salon de Té they serve some food such as cous cous hummus or falafel although I have eaten here myself yet. I have actually lost count of how many times I have been here now. Love the space. On the Plaza de Tendillas right in the commercial area of Cordoba, Starbucks have just opened their first branch in Cordoba. 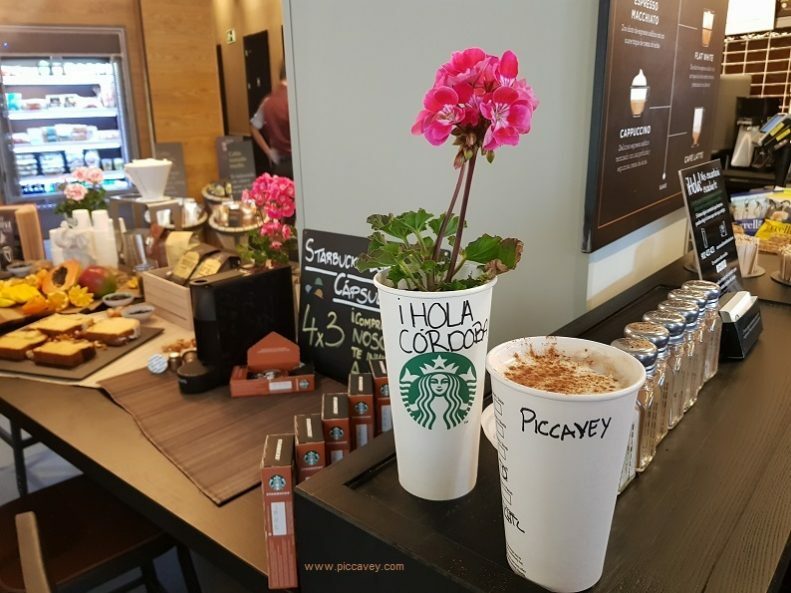 In March 2018 I popped along on the first day of trading to see how the local baristas were doing. Maybe they have tried this barista training course because coffee was so good. And make “This barista training course” as an anchor. This store has a terrace area on the square which is perfect for people watching. Also they have tables and seating inside too. 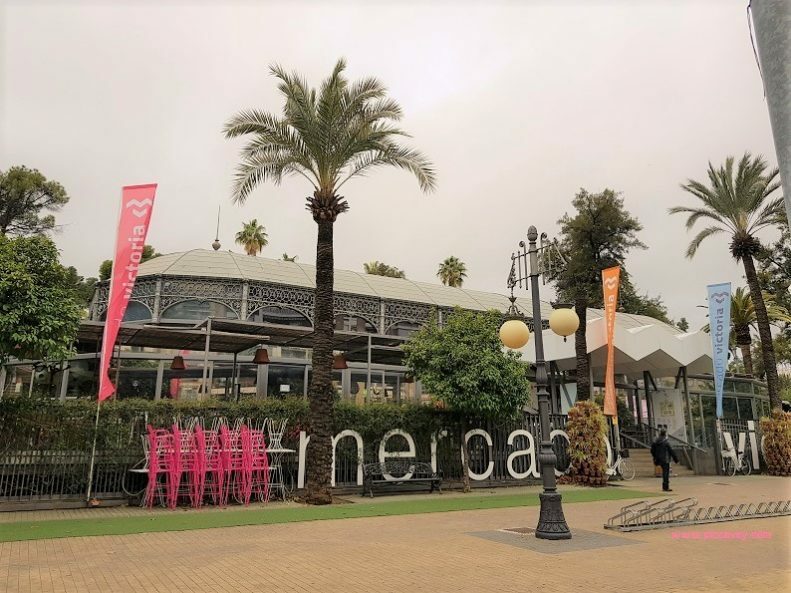 This is the 12th store to open in Andalusia (the others are in Seville and Malaga) so you can get your frapuccino fix while you are visiting the city. 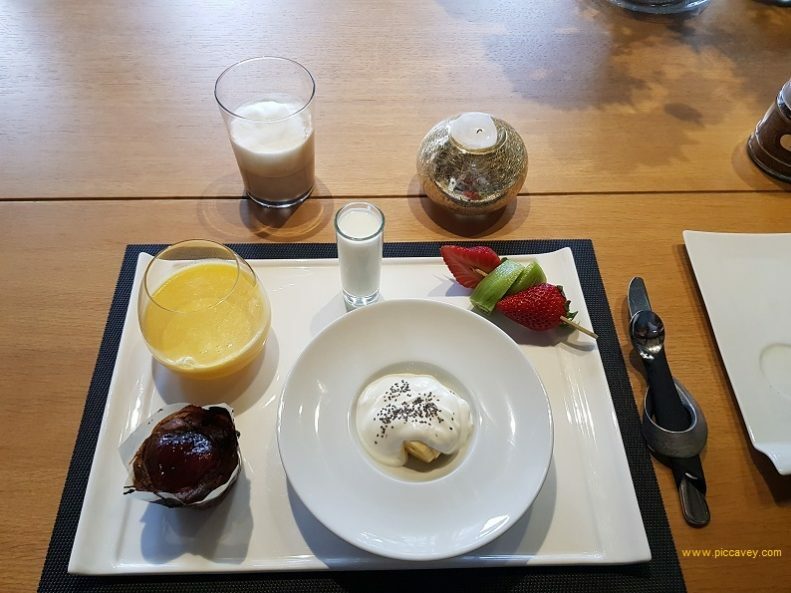 This hotel serves an amazing breakfast. With just 5 rooms the Patio del Posadero almost feels like a Moroccan Riad. Radiating from an inner courtyard the rooms have Moroccan doors and intricate interiors. The hosts serve breakfast in the main part of the building. Start the day with a freshly prepared fruit smoothie and homemade bakes is sheer indulgence. Accompanied with the perfect frothy coffee and some chunky local bread it is one of the better experiences I have had on my recent travels. With a rooftop pool this is a little piece of heaven very close to Plaza del Potro. 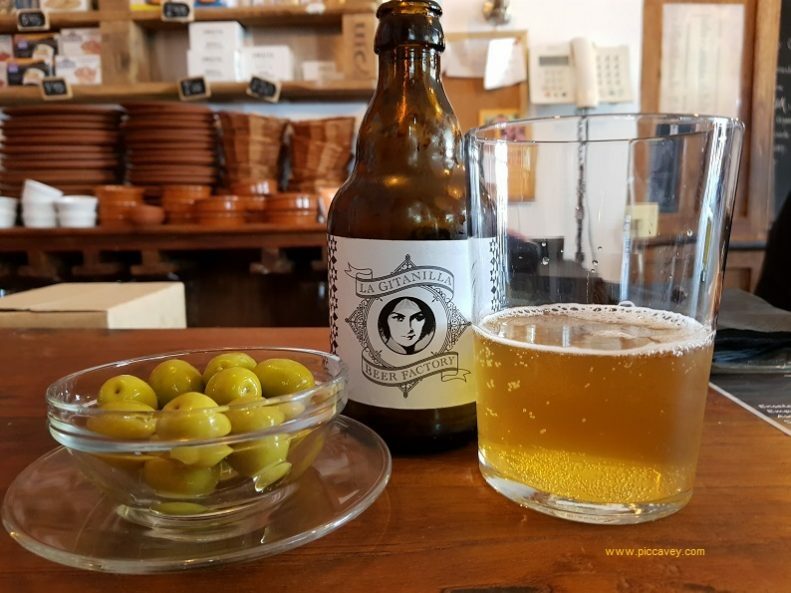 They also had some great local Olive Oils which were infused with flavours such as White Truffle, Coconut or Tomato and Basil. 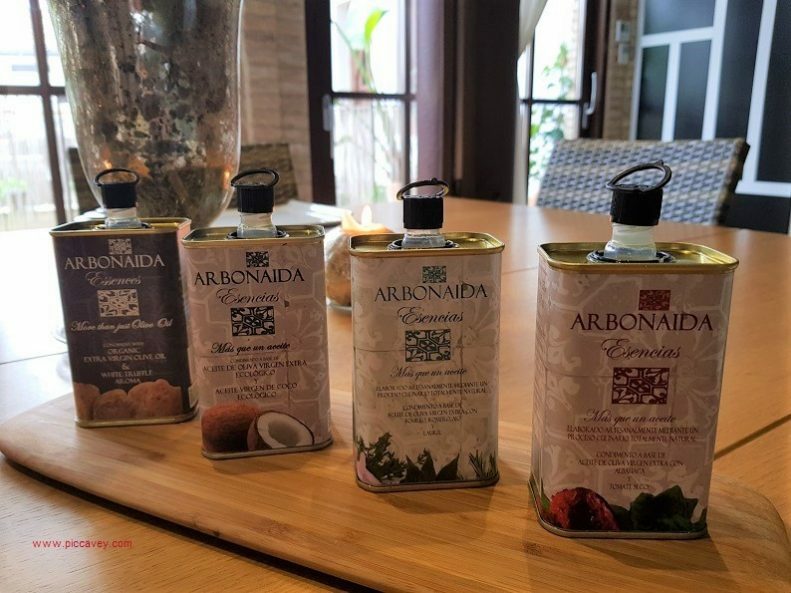 With Cordoba winning plenty of awards for their Olive Oils it is no surprise to find this kind of artisan products while staying in the area. Arbonaida was certainly a new producer to me. It was a pleasure to get to try these that morning. This pretty iron structure is located on the Victoria Garden area of the city. 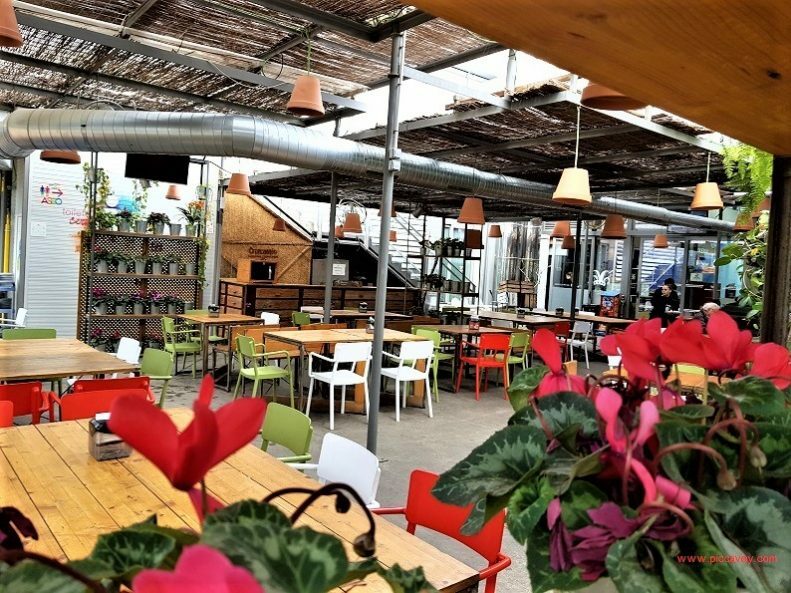 A food market with plenty of seating areas inside, this is a great place for lunch or dinner. You can also take food away too. Inside it feels like a Victorian conservatory and must be a great place to enjoy on a summer evening. They open daily from 10am until past midnight. You can buy prepared food here to take away. There are also butchers, grocers and other stalls so you can buy fresh produce to cook yourself. Also the Spanish ham stall looked very enticing too. Another place had Halaal food. One moroccan speciality on sale is Bastela (chicken filled pastry with cinnamon) and falafel. I would agree that visiting in the heat of the summer months should be avoided. We visited mid October and it was ideal, warm days – but not too hot for exploring the sites – and still warm enough in the evenings to dine outside. I, too, use TA for a reference point for restaurants – but you can’t beat a review from a trusted source – so, thank you. We’ll be back in Córdoba again this October so we’ll probably try one or two of your recommendations. 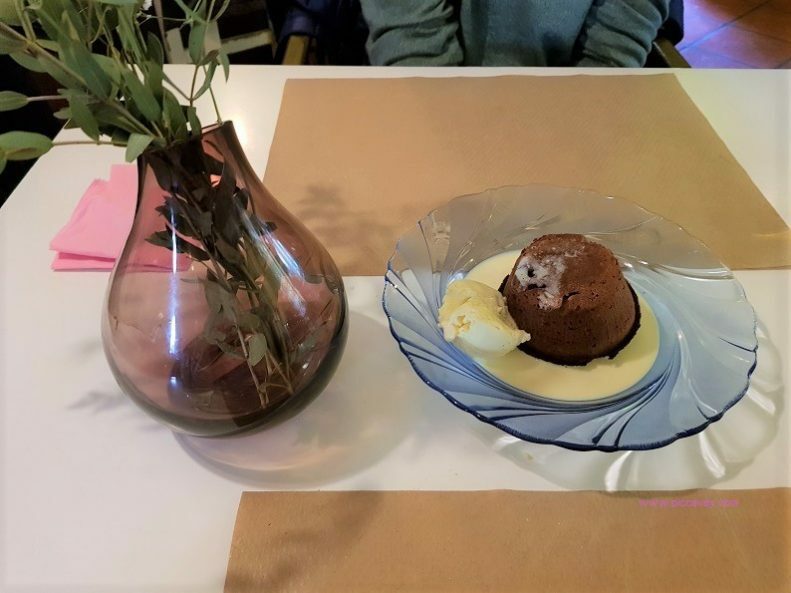 Great post Molly, places we have never been, but can now recommend! I agree, great post and yes, it’s best not to sightsee during the hot summer months. Evenings and night attractions can be extremely enjoyable however. There are still bars that give free tapas. There is a little restaurant that did a great tapas deal 5 minutes walk from the Mezquita. 17 euros for 2 drinks and tapas for 2, however the tapas kept coming and coming, and was great for 4 of us. I’ll check up the name next time I visit! Nice one. 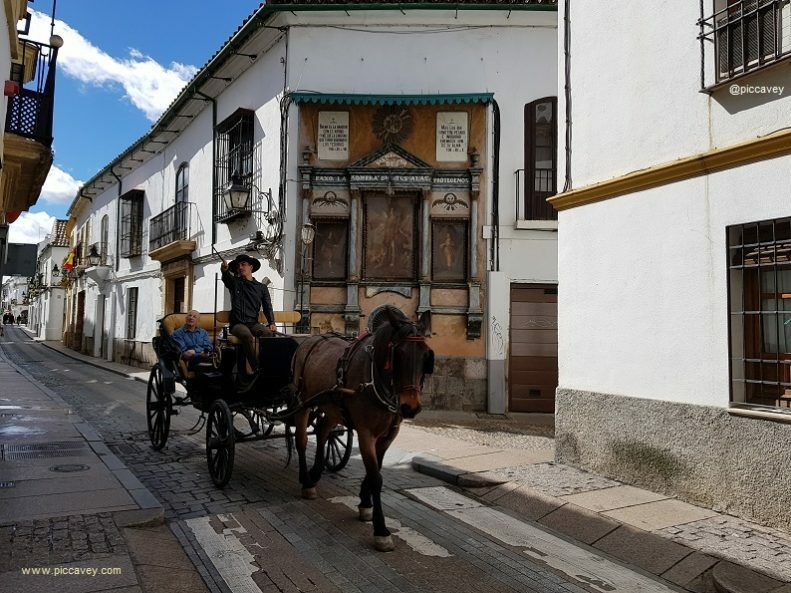 Love Cordoba…..and when I am next back that way I wll have to checkout these places!! Not too keen on Tripadvisor….I prefer an opinion like yours. I have to confess I had Aubergines with honey (eggplant) everyday I want there. Couldn’t resist. Cordoba really is lovely, no matter how many times I go there I always find lovely new bits. One year we were in the botanical garden and the barman told us it had been 50+C the week before! End June, July and August are not a pleasant time to visit! A lovely read. I first went to Córdoba post A-levels, 1972 and ended up staying there for 15 months. There were no more than 10 European expats living there then. In later life I have returned a few times on my own, I’ve also, on separate occasions, taken my sister there, my husband, my son, and my best friend. 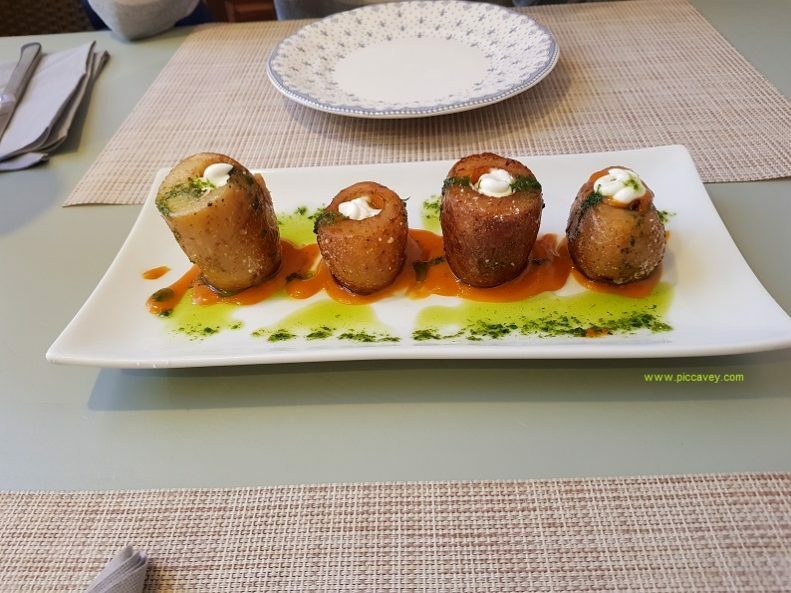 The typical Flamenquín and Salmorejo are always delicious. It’s lovely to read your own recommendations for my next visit. Thank you. 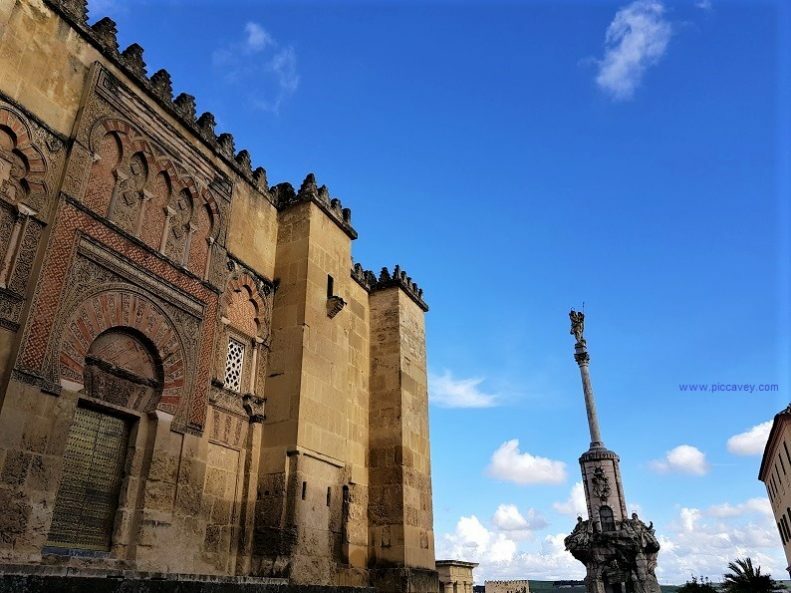 The Alcazar, the Palacio de Viana, the Casa Andalusi and Synagogue are also worth seeing but you must plan according to the opening times. Most monuments only open in the morning. Best to do Mosque in the afternoon. More details here about all of this.